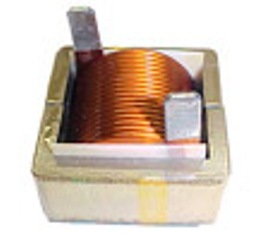 Normally our customer specify the specs ( size, inductance, current)and we build to meet the specs. 7) "Inductance @ Rated Current is the Inductance value when applying the rated DC bias current." ( 4th column from left in table below ). At this current, the temperature rise may be above the 40 deg C stated above, so forced air flow may be required.